For Christmas I made my nephew a rocket shaped mini album by October Afternoon's Rocket Age line. It turned out so dang cute and BOY! I still had tidbits leftover to use for another project. 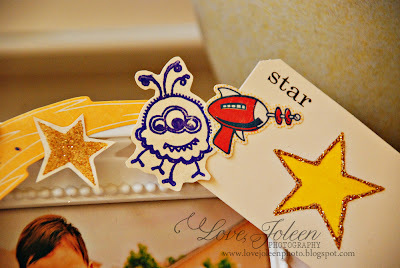 Enter "Out In Space" by Sweet Stamp Shop!!! How PERFECT is this stamp set?! Seriously! I had this plain(ish) frame that was screaming to be decorated. I stamped and embossed the images on an old book page for a similar aged look and sporadically placed all my space themed images, ephemera, and buttons. I LOVE how this turned out! I need to put in an updated photo (he's quite the daredevil himself now!) 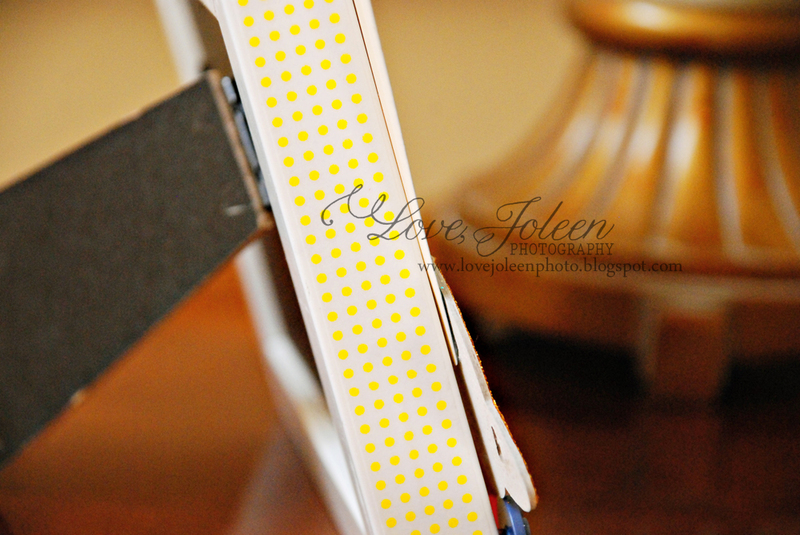 and re-adhere everything with a glue gun still. I ran yellow dotted washi tape all around the edges of the frame to add a pop of color! Check out Sweet Stamp Shop's new set "Made By". Every crafter needs it to sign their work! I love this month's release and I love how you used the stamps to decorate the frame it is totally adorable! Thanks! 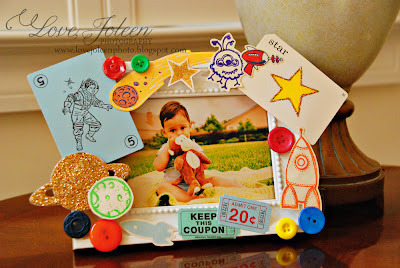 This frame is such a cool project and the images go perfectly with your space-themed ephemera. Looks fabulous, love the frame-the collage effect makes it look awesome! what a super fun and lovely frame. love all the details you've added and so love the glittered planet. So cute! LOVE the new stamps! Great little frame! Very cute way to decorate a frame! What a fun little picture frame! I like how you incorporated washi tape, and it's always great to use up scraps. Oh my goodness...this frame is pure cuteness! Love the clustering and washi tape!!! Fun Fun Fun, love the frame decorated like that, and the little photo is too cute. How cute that is. 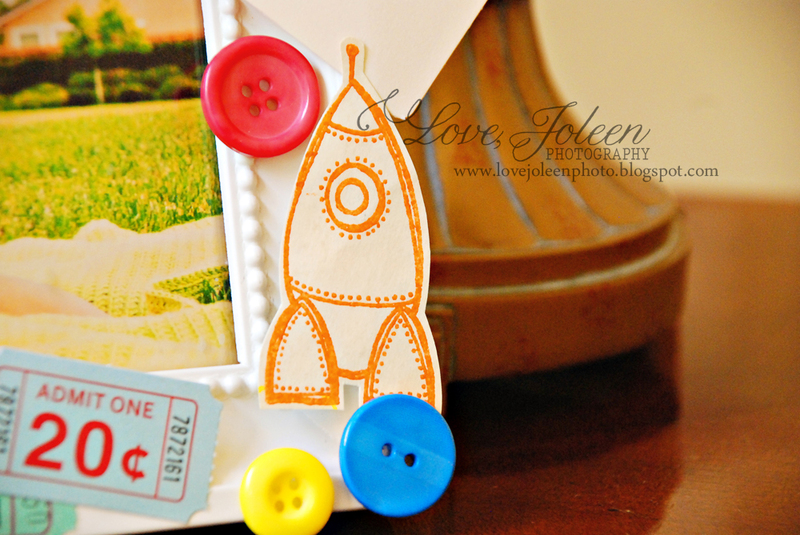 I love the October Afternoon Rocket Age papers and those stamps are perfect to go with it. The frame is so cute. oh my how adorable...totally love this frame and all those cute images...thanks for sharing..
What a fabulously fun frame! Love this fun and quirky frame!!! Great little images! What a fun frame- so perfect for a boy. What a great frame!!!! 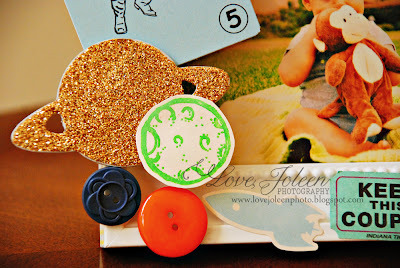 I love the way you mixed in your stamped images! 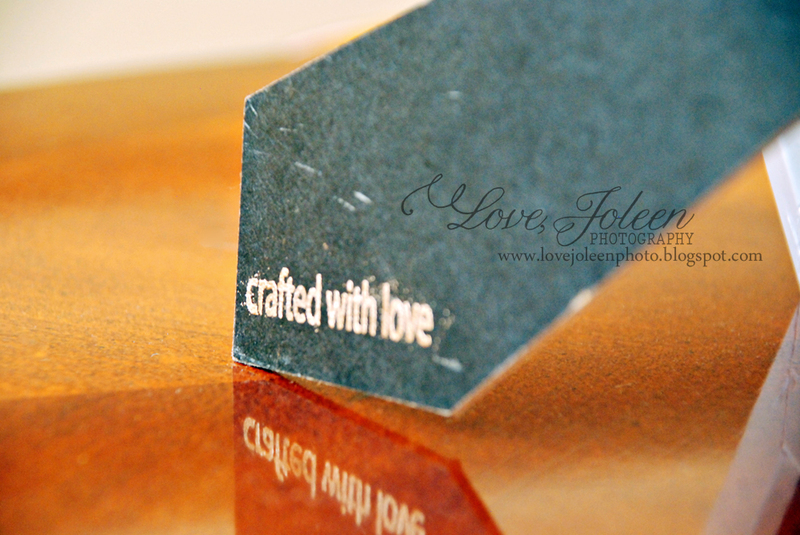 Adorable frame...love how you put the Crafted with love on the back. What a fun way to use the stamps, and the 'crafted with love' on the back is perfect! This frame is so perfect for a little boy pic. Great work.